Award-winning Chef Marco Gaspar has brought his consummate culinary skills to Tsogo Sun’s Palazzo hotel at Montecasino as the new Head Pastry Chef, having spent the last three years as Pastry Sous Chef at MGM Grand Macau hotel and casino, ensuring the production of dessert and chocolate items to the highest standard for the hotel. It was while in Macau that Chef Marco received a Most Outstanding Award at the Fonterra Pastry Challenge 2016 – Macau, endorsed by Macau University of Science and Technology as well as Macau Culinary Association. Other awards include second place in the SA Chaine de Rotisseurs Competition in 2012, and the HTA In-Service Chef of The Year competition in 2011. 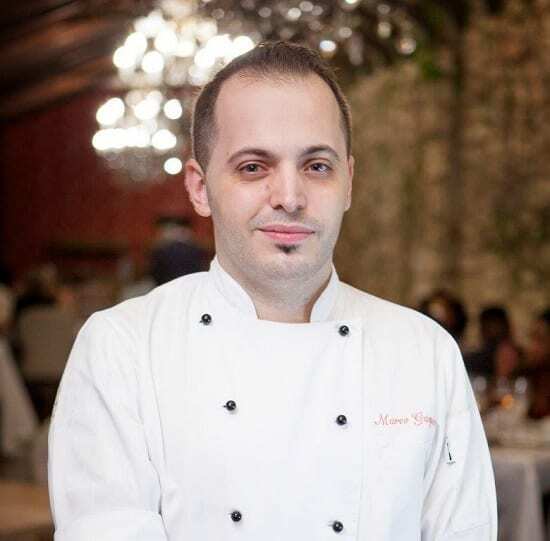 Chef Marco attended high school in Elmar College in Pretoria, followed by Hospitality, Training & Associates College (HTA) School of Culinary Art, for four years, where he obtained a Diploma in Professional Cookery and Kitchen Management. He spent three years of his in-service training at the Saxon Boutique Hotel in Sandhurst, where he worked under top Pastry Chef, Vicky Gurovich, and well-known Executive Chef, Rudi Liebenberg. Still with the Saxon group, Chef Marco spent a year at Shambala Private Game Reserve in the Waterberg, as Pastry Sous Chef, delivering modern South African and French cuisine. While there he had the great pleasure of catering for Nelson Mandela on his 93rd birthday. He then had his first introduction to Tsogo Sun with close on a year at Southern Sun Montecasino as Pastry Sous Chef, before honing his chocolate skills as Senior Assistant Chocolatier at Lindt & Sprüngli’s Chocolate Studio, where he was involved in creating new flavours and recipes, and demonstrating in workshops. He joined MGM Grand Macau in August 2014 as Pastry Sous Chef in International Cuisine, where he was involved in recipe and menu development, and in chocolate and dessert creations, for the hotel’s signature restaurant, Rossio, and for the Michelin Guide rated French restaurant, Aux Beaux Arts, as well as the Pastry Bar counter and Grande Praca Café. He also handled special events, and tastings, and worked with international celebrity chefs Graham Elliott and Janice Wong in the the pre-opening of their new restaurants. Chef Marco describes himself as “a South African-born chef of Portuguese descendance with nine years of passion in culinary learning, experience and training” and is constantly striving to improve his culinary techniques and management skills. He has an impeccable eye for detail and delivers “the most flavour packed items”.